Another day, another bad look for Uber. Company President Jeff Jones has reportedly resigned after being at his post for less than a year, according to a report from Recode. Their sources say his resignation is directly related to the non-stop deluge of bad PR the company has received in recent months. His resignation is effective immediately and Uber has not yet named his successor. A factor, according to Recode, was the recent announcement that CEO Travis Kalanick would hire a COO in an effort to right the ship. It wasn't just that there'd be a new no. 2 at the company, which "was not the situation [Jones] signed on for," but that it was an indication the situation "was more problematic" than Jones initially knew, according to Recode. The company offered a brief statement to Mashable, saying only, "We want to thank Jeff for his six months at the company and wish him all the best." The situation at Uber has been grim, with disasters popping up quicker than a sinister game of whack-a-mole. The company had previously come under fire because of the way they have allegedly shortchanged drivers and battled with cities over regulations. That coupled with lifting surge pricing as taxi protests Trump's Muslim ban at JFK spawned the #DeleteUber movement on social media. 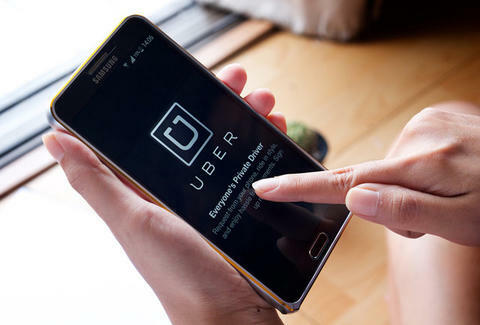 That movement wasn't slowed by the revelation that Uber's terms of service say they're allowed to the app to track users while they aren't in an Uber car. That was followed by Susan Fowler's explosive blog post alleging some truly awful experiences with sexism at Uber. Her post caused others to speak out about their experiences as well. That was followed by the departure of their SVP of engineering over past sexual harassment allegations. It also saw the departure of their VP of product. Then a video surfaced of Kalanick arguing with an Uber driver, which didn't help anything. That wasn't the end of issues for Uber, either. The New York Times revealed Uber's Greyball program with which they intentionally avoided law enforcement and skirted regulations. Now, this. It's been a rough 2017 for the ride-sharing company and we aren't even three months into the year.